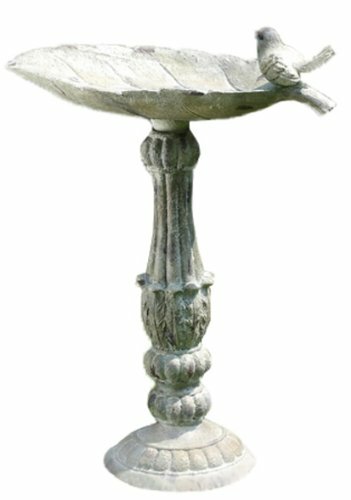 Napco's Pedestal Bird Bath is both a garden statue and a functional outdoor item that welcomes birds to your yard. Decorative pedestal with a leaf-inspired basin decorated with a resting bird. Bird Bath can also be used with bird food as a feeder, or use indoors to hold keys, mail, etc. Crafted from high-quality resin for durability and to keep it looking good for years. Easy to care for, even easier to enjoy.